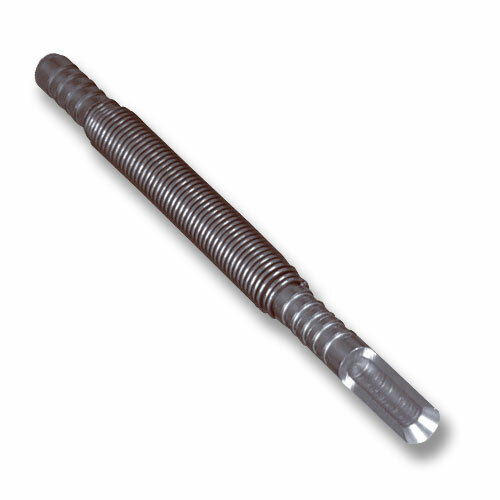 Spring Tools Sweep Gouge - #9 x 5/16"
About Noxon Spring Tools - With Noxon spring-loaded tools work is a snap - literally! You can punch, mark, chisel, start, or set - No hammer needed! The tremendous energy stored when the lifetime spring is pulled back actually has the potential to deliver more striking force than a hammer. They're more accurate than a hammer, so no more mis-hits, mashed fingers, or dinged work. Compact size makes them tough to beat in tight spaces. Ringed ends for a sure finger grip. Hardened high speed tools steel tips.